Over 160% increase in overall immunity seen in the preclinical research. The preclinical research assessed biomarkers for immune function and blood, as well as, inflammation. Dianne Vincent, an evidence-based energy healer, today announces research results on the impact of a biofield energy treated nutraceutical to reduce inflammation and autoimmune disorders and improve overall immune response. The research suggests that this biofield energy treatment enhanced the nutraceutical’s anti-inflammatory and immunomodulatory properties. Additionally, the treated formulation was reported to improve stress management, as well as, anti-aging by enhancing overall health and quality of life. This Biofield Energy Healing Treatment was provided by Vincent as part of a group of 18 energy healers. Eleven were remotely located in the U.S.A., four in Canada and one each in the United Kingdom, Russia, and Ireland. The test formulation was located in the research laboratory of Dabur Research Foundation, near New Delhi, India. The Biofield Energy Treatment was administered for 5 minutes through the healers' unique Biofield Energy Transmission process remotely to the test samples under laboratory conditions. Vincent, as well as, the other 17 biofield healers participating in this research never visited the laboratory in person, nor had any contact with the nutraceutical samples. 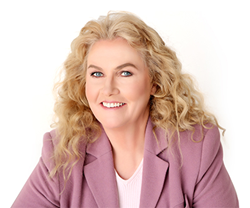 Dianne Vincent is a successful business owner focusing on improving quality of life through nutrition and complementary health models since 1996. Vincent attributes her association with Guruji Mahendra Trivedi, founder of the Trivedi Effect ®, and her involvement in his Healers Mastery Community, with having a major impact on her healing abilities to harness and transmit Life Force energy to enhance the overall quality of life. Vincent's abilities, scientifically validated and duly measured through preclinical research using both cell-based and mice models, have been documented and published in international peer-reviewed journals. Her recently published studies on Vitamin D3 and bone health have been scientifically validated through the most sophisticated technologies in Internationally accepted models of scientific research.